Home / STORE / Cones / Newborn Baby Cone. 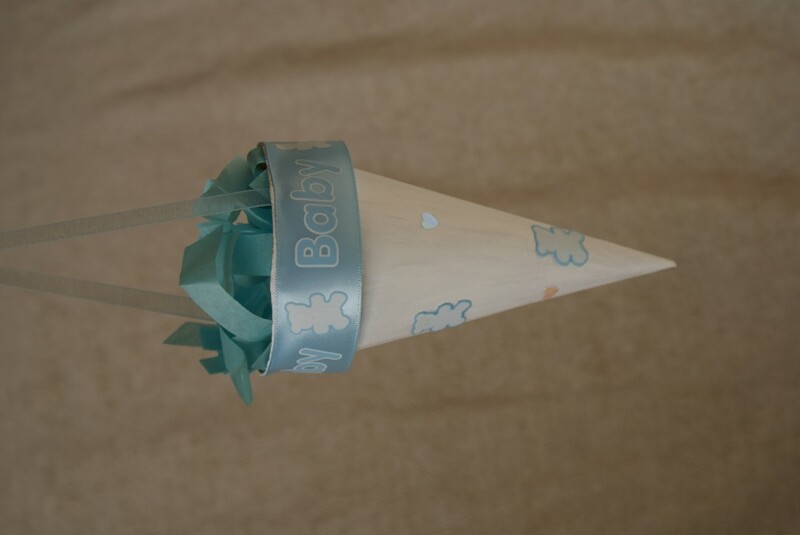 These cones come in either pale blue or pale pink pastel and are approx 24cm high x 7cm diameter. 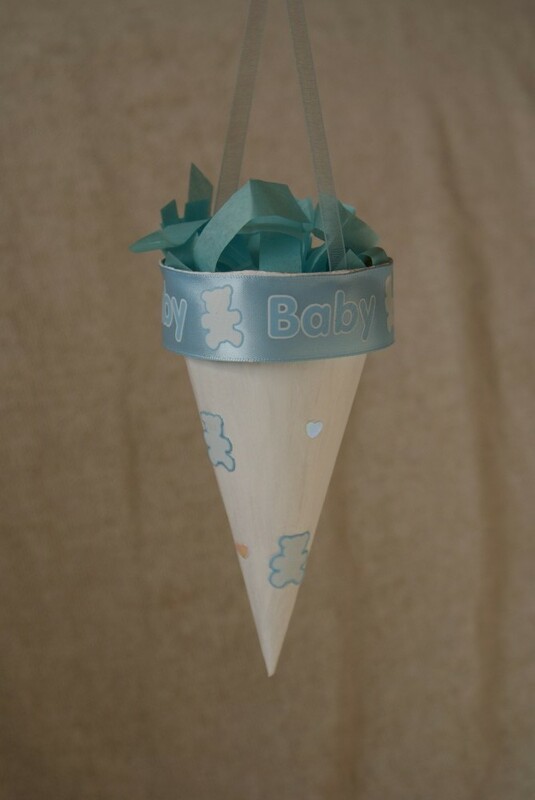 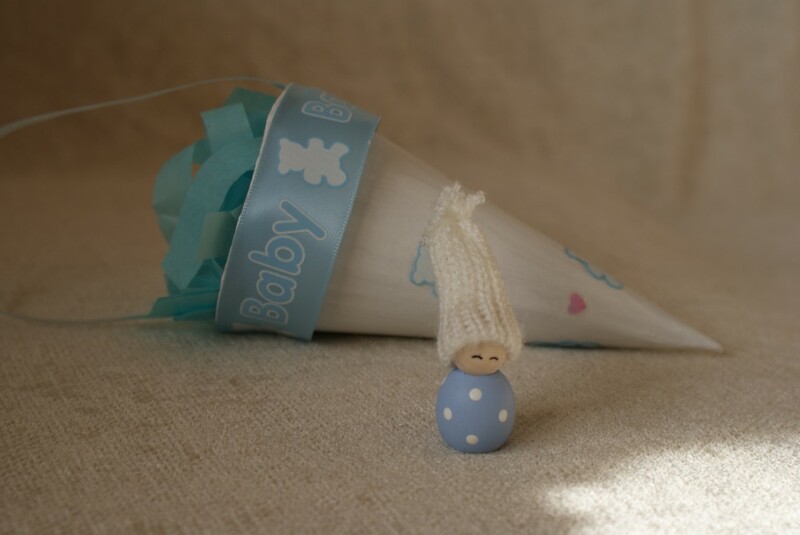 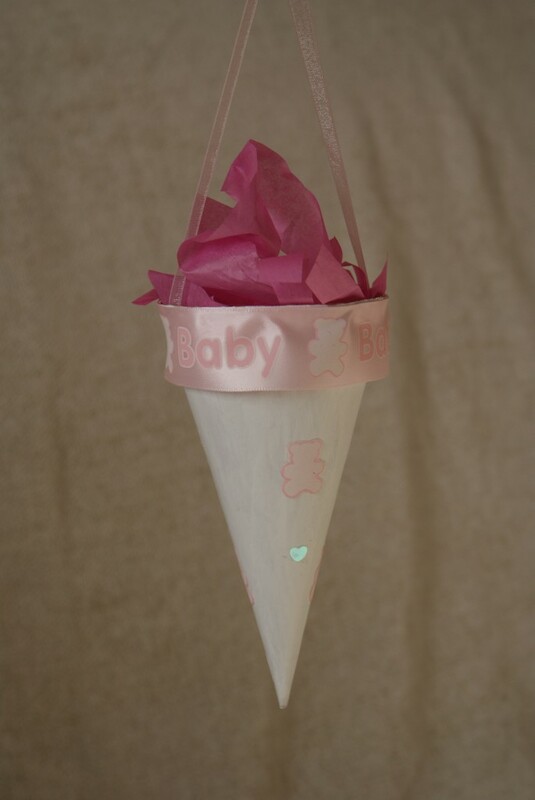 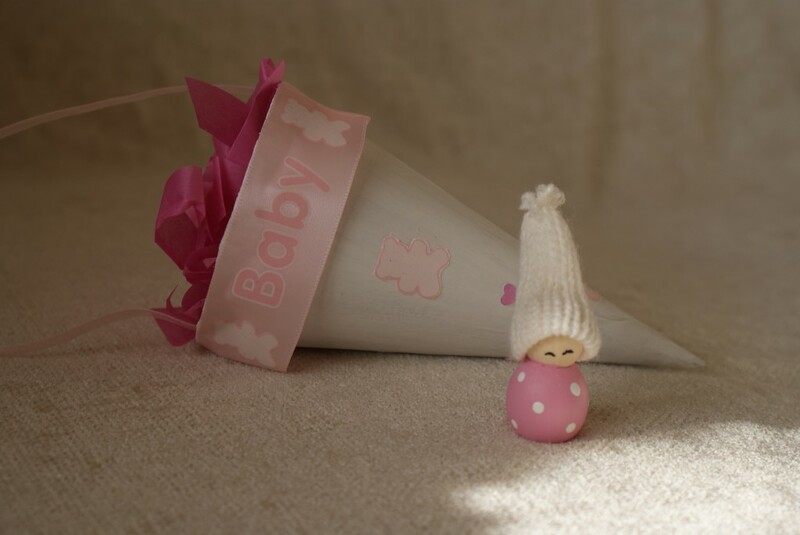 Add Shredded tissue to the inside of the cone to present a gift such as the newborn Nisse (sold seperately) or any small gift, for baby’s first present.